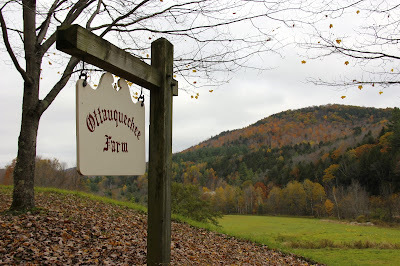 I have been invited by the OQ Farm in beautiful farmland close to Woodstock, Vermont, to lead a weekend study centered around the traditional formation that would been given to the great Catholic artists of the past. This will certainly be of interest to artists of any creative discipline, but not just to artists, I think. It is open to anyone seeking a traditional formation in beauty and an inculturation that engenders creativity and openness to inspiration. It takes place from the 3-5th June, 2016. St John Paul II said, in his 1999 Letter to Artists, that every individual has a personal vocation to contribute creatively and beautifully to the culture in some way as we go about our daily lives. In that sense, we may become artists through supernatural means: by being united to Christ, we are transformed and participate in the divine nature. St Athanasius referred to this supernatural transformation in the 4th century AD when he said that, “God became man, so that we might become god.” St Maximus the Confessor reiterated this in the 7th century, saying “One becomes all that God is, except an identity in being, when one is deified by grace.” Benedict XVI said that through this each of us can participate in the “creative love of God.” It is an extraordinary privilege, yet it is one that is offered through the Church to every single person. This call to be raised up so that God may work through us, and to contribute creatively and beautifully to society, is the essence of the New Evangelization. You can read about this in this article, published in the past here on NLM, the New Evangelization and the Domestic Church - Pope Benedict XVI on the Connection Between the Two. Through grace, we lead a life of beauty and contribute creatively to a new culture. It is by this beauty and love in our lives that others see Christ and are drawn to the Faith. This result is described by Benedict in his paper on the New Evangelization, written in 2001; and in the same paper he gives us the method by which we can participate in this. The method of the “New” evangelization is rooted in the one which worked so successfully for the early Church. It is a traditional pattern of prayer, which incorporates different sorts of prayer and contemplation, and has the worship of God in the sacred liturgy at its heart. This will be a journey in which together we will study this short document (under 10 pages) and put into practice what he describes. This is what formed the great evangelists of the past; and it also what enabled so many of the great painters of the past to create beauty for the greater glory of God. In many ways, it is building on what was described in the book written by Leila Lawler and myself, The Little Oratory - A Beginner’s Guide to Praying in the Home. In this weekend, we will go more deeply into the subject, learning more about how the beauty of the Catholic traditions of sacred art (as specified by Benedict XVI in his book The Spirit of the Liturgy), through both form and content support the prayer life and the themes that he highlights in his paper on the New Evangelization. We will experience the methods he describes first hand, the prayer that it describes, with additional insights. As such, it is a small example of Catholic inculturation from which you can benefit personally, and which you can take with you to your domestic church. In fact, the hope of this weekend is that what you get will not stop when you leave. 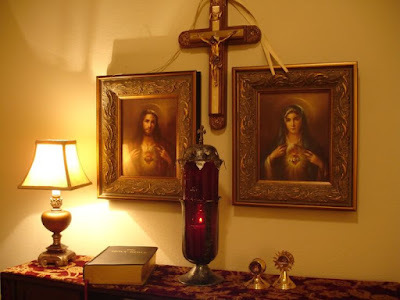 Prayer at home, as well as in our parish church, is a vital component to what Pope Benedict described when he told a synod on the family in 2008 that “The new evangelization depends largely on the Domestic Church. The Christian Family, to the extent it succeeds in living love as communion and service as a reciprocal gift open to all, as a journey of permanent conversion supported by the grace of God, reflects the splendor of Christ in the world and the beauty of the divine Trinity.” The point should be made here that this does not apply only to families, it is true for and open to everyone, no matter what their state in life. We all have a home, and so we can all create a domestic church! It is how we turn a house into a home. • Engage with visual imagery in your prayer - in the liturgy and in devotional and contemplative prayer. • Learn how to choose images, based upon traditional principle, for your own domestic church that will promote this supernatural transformation. • Understand why the great figurative traditions of the sacred art of the Church are formed so as to engender such a transformation, both through the content - what they portray; and style - how they portray it. Arrive on Friday, 6/3 by dinner, depart by noon on Sunday, 6/5 Includes semi-private lodging and all weekend meals. A limited number of private rooms are available for an additional cost. To book, and for more information please contact the Director of Arts Initiatives, Keri Wiederspahn: keri@oqfarm.org; 802.230.7779 or follow the link here. Below a beautiful icon of the transfiguration, painted by monks at Mount St Angel Abbey, Oregon. This is a painting of the event that anticipated Christ in glory in heaven. 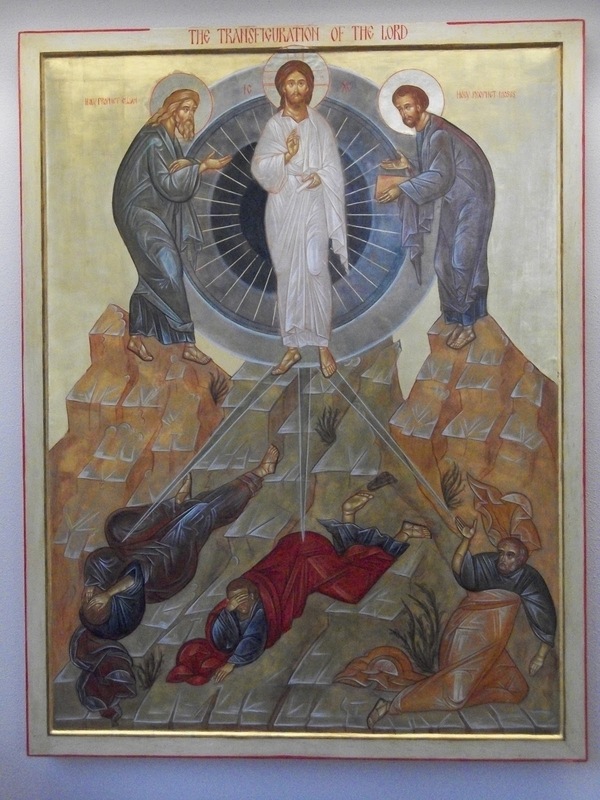 It is also a painting of the mystical body of Christ, the Church. When we are transformed, in Christ, in this life, we can be a pixel of light in his body, drawing people to the Faith.